[S27] John Wright Boyd, A Family History: Lt. Thomas Fortson (1742-1824) and Some of His Descendants—Early Settler of Elbert County, Georgia (Danielsville, Ga.: Heritage Papers, 1973), p. 228 (naming Henry Alfred Fortson as her father). [S27] John Wright Boyd, A Family History: Lt. Thomas Fortson, etc., above, p. 228 (naming Clara Eleanor Warren as her mother). [S27] John Wright Boyd, A Family History: Lt. Thomas Fortson, etc., above, p. 228. [S312] Social Security Death Index, online at http://tinyurl.com/AncestrySSDI, viewed 6 Jul 2003. [S312] Social Security Death Index, online at http://tinyurl.com/AncestrySSDI, viewed 6 Jul 2003 (not naming the place of death but stating that she lived in Elberton, Ga. when she died). Marriage*: He married Maude Alma Whitman. Marriage*: She married Prince Albert Holmes. [S930] Elbert County Cemeteries, Vol. 1 (n.p. : n.pub., 2002), p. 148. [S312] Social Security Death Index, online at http://tinyurl.com/AncestrySSDI, viewed 6 Jul 2003 (stating that she died in Dec 1981; not naming the place of death but stating that she lived in Elberton, Ga. when she died). [S931] Ann Clark Holloman, comp, Elbert County, Georgia Death Records 1875-1876 and 1919-1995 (Albany, Ga.: Ann Clark Holloman, 1997), p. 55, certificate no. 12901. [S930] Elbert County Cemeteries, Vol. 1 (n.p. : n.pub., 2002), p. 148 (giving the date but not the place). Dalton William Webb, 1960. Photo originally posted to Find A Grave website by Find A Grave contributor, J_Dove222. Photo used by permission. [S312] Social Security Death Index, online at http://tinyurl.com/AncestrySSDI, viewed 6 Jul 2003 (giving the date but not the place). [S961] Find A Grave, online at http://www.findagrave.com, memorial for Dalton William Webb, memorial no. 36191489, viewed on 29 May 2017. [S27] John Wright Boyd, A Family History: Lt. Thomas Fortson (1742-1824) and Some of His Descendants—Early Settler of Elbert County, Georgia (Danielsville, Ga.: Heritage Papers, 1973), p. 229. [S961] Find A Grave, online, above, memorial for Mary Thomas Fortson Webb, memorial no. 36191284, viewed on 10 Apr 2017. [S312] Social Security Death Index, online at http://tinyurl.com/AncestrySSDI, viewed 6 Jul 2003 (not naming the place of death but stating that he lived in Elberton, Ga. when he died). [S961] Find A Grave, online, above, memorial for Mary Hazel Webb Almond, memorial no. 135408985, viewed on 10 Apr 2017 (naming Dalton William Webb as her father). [S961] Find A Grave, online, above, memorial for Sidney Lowell Webb, memorial no. 89462661, viewed on 29 May 2017 (naming Dalton William Webb as his father). Other Names*: Elizabeth Mattox, Elizabeth Jane Mattox Fortson, Elizabeth Mattox Fortson, Elizabeth Jane Fortson, Elizabeth Fortson. [S27] John Wright Boyd, A Family History: Lt. Thomas Fortson (1742-1824) and Some of His Descendants—Early Settler of Elbert County, Georgia (Danielsville, Ga.: Heritage Papers, 1973), p. 712. [S27] John Wright Boyd, A Family History: Lt. Thomas Fortson, etc., above, pp. 229, 712. [S930] Elbert County Cemeteries, Vol. 1 (n.p. : n.pub., 2002), pp. 148 (stating that she was the wife of Milton Sidney Fortson), 150 (stating that he was the husband of Elizabeth Jane Mattox). [S961] Find A Grave, online at http://www.findagrave.com, memorial for Milton Sidney Fortson Jr., memorial no. 153878591, viewed on 1 Nov 2015 (naming Elizabeth Jane Mattox as his mother). Note*: • They lived in Elberton, Georgia. • One source gives his name as Lonnie N. Fortson, and another says it was Alonzo N. ('Lon') Fortson. • He was shot to death by an escaped convict in an incident on his farm in which a tenant and his son, Herndon Fortson, were seriously wounded. [S27] John Wright Boyd, A Family History: Lt. Thomas Fortson (1742-1824) and Some of His Descendants—Early Settler of Elbert County, Georgia (Danielsville, Ga.: Heritage Papers, 1973), p. 229 (naming Elijah Richard Fortson as his father). [S27] John Wright Boyd, A Family History: Lt. Thomas Fortson, etc., above, p. 229 (naming Mary Jane Snellings as his mother). [S27] John Wright Boyd, A Family History: Lt. Thomas Fortson, etc., above, p. 229. [S931] Ann Clark Holloman, comp, Elbert County, Georgia Death Records 1875-1876 and 1919-1995 (Albany, Ga.: Ann Clark Holloman, 1997), p. 56, cert. no. 3162 (not giving the date but stating that she was fifty-eight years old when she died on 19 Jul 1937). [S930] Elbert County Cemeteries, Vol. 1 (n.p. : n.pub., 2002), p. 670 (giving his name as Alonzo N. ['Lon'] Fortson and giving the date but not the place). [S930] Elbert County Cemeteries, Vol. 1 (n.p. : n.pub., 2002), p. 670 (giving his name as Alonzo N. ['Lon'] Fortson and not giving the date). [S27] John Wright Boyd, A Family History: Lt. Thomas Fortson, etc., above, p. 229 (giving the date but not the place). [S931] Ann Clark Holloman, comp, Elbert County, Georgia Death Records 1875-1876 and 1919-1995 (Albany, Ga.: Ann Clark Holloman, 1997), p. 56, certificate no. 3162. [S930] Elbert County Cemeteries, Vol. 1 (n.p. : n.pub., 2002), p. 670 (giving his name as Alonzo N. ['Lon'] Fortson). [S931] Ann Clark Holloman, comp, Elbert County, Georgia Death Records 1875-1876 and 1919-1995 (Albany, Ga.: Ann Clark Holloman, 1997), p. 56, cert. no. 3162 (giving his name as Lonnie N. Fortson). [S930] Elbert County Cemeteries, Vol. 1 (n.p. : n.pub., 2002), (giving his name as Alonzo N. ('Lon') Fortson). [S27] John Wright Boyd, A Family History: Lt. Thomas Fortson, etc., above, p. 229 (first bullet). [S931] Ann Clark Holloman, comp, Elbert County, Georgia Death Records 1875-1876 and 1919-1995 (Albany, Ga.: Ann Clark Holloman, 1997), p. 56, cert. no. 3162 (giving his name as Lonnie N. Fortson) (second bullet). [S930] Elbert County Cemeteries, Vol. 1 (n.p. : n.pub., 2002), p. 670 (giving his name as Alonzo N. ['Lon'] Fortson) (second bullet). [S1411] The Greenville News, Greenville, S.C., online at http://www.newspapers.com, 5 Apr 1939, p. 6, col. 5 ("Rivers Ponders Williams Case") (third bullet). [S1397] The Times and Democrat, Orangeburg, S.C., online at http://www.newspapers.com, 16 May 1942, p. 8, col. 3 ("Georgia Prisoner Is Electrocuted After Having 7 Reprieves") (fourth bullet). [S27] John Wright Boyd, A Family History: Lt. Thomas Fortson, etc., above, p. 229 (naming Lon Nunnally Fortson as his father). [S312] Social Security Death Index, online at http://tinyurl.com/AncestrySSDI, viewed on 31 Jan 2004. [S931] Ann Clark Holloman, comp, Elbert County, Georgia Death Records 1875-1876 and 1919-1995 (Albany, Ga.: Ann Clark Holloman, 1997), p. 56, certificate no. 10102. [S312] Social Security Death Index, online at http://tinyurl.com/AncestrySSDI, viewed on 31 Jan 2004 (stating that she died on 15 Feb 1969; not naming the place of death but stating that she lived in Elberton, Ga. when she died). [S930] Elbert County Cemeteries, Vol. 1 (n.p. : n.pub., 2002), p. 670 (giving 24 Mar 1969 as her death date). [S27] John Wright Boyd, A Family History: Lt. Thomas Fortson, etc., above, p. 229 (naming Lois Herndon as his mother). Note*: • He was known as Herman. • He was married twice, lived in Atlanta, Georgia, and did not have children. [S27] John Wright Boyd, A Family History: Lt. Thomas Fortson (1742-1824) and Some of His Descendants—Early Settler of Elbert County, Georgia (Danielsville, Ga.: Heritage Papers, 1973), p. 229 (naming Lon Nunnally Fortson as his father). [S312] Social Security Death Index, online at http://tinyurl.com/AncestrySSDI, viewed 7 Jul 2003. [S930] Elbert County Cemeteries, Vol. 1 (n.p. : n.pub., 2002), p. 669 (giving his name as Herman H. Fortson and giving the date but not the place). [S930] Elbert County Cemeteries, Vol. 1 (n.p. : n.pub., 2002), p. 669 (giving their names as Helen Carroll and Herman H. Fortson). [S312] Social Security Death Index, online at http://tinyurl.com/AncestrySSDI, viewed 7 Jul 2003 (stating that he died in May 1972; not naming the place of death but stating that he lived in Atlanta, Ga. when he died). [S930] Elbert County Cemeteries, Vol. 1 (n.p. : n.pub., 2002), p. 669 (giving his name as Herman H. Fortson). [S312] Social Security Death Index, online at http://tinyurl.com/AncestrySSDI, viewed 7 Jul 2003 (first bullet). [S27] John Wright Boyd, A Family History: Lt. Thomas Fortson, etc., above, pp. 229-30 (second bullet). [S1411] The Greenville News, Greenville, S.C., online at http://www.newspapers.com, 5 Apr 1939, p. 6, col. 5 (third bullet). [S27] John Wright Boyd, A Family History: Lt. Thomas Fortson, etc., above, pp. 229 (giving the date but not the place), 230. [S312] Social Security Death Index, online at http://tinyurl.com/AncestrySSDI, viewed 7 Jul 2003 (giving the date but not the place). [S895] John Fortson, electronic mail to Roger Bartlett, 5 Feb 2001, (stating that he was born in 1908 without giving the date or place). [S312] Social Security Death Index, online at http://tinyurl.com/AncestrySSDI, viewed 7 Jul 2003 (not naming the place of death but stating that he lived in Atlanta, Ga. when he died). [S27] John Wright Boyd, A Family History: Lt. Thomas Fortson, etc., above, p. 230. [S895] John Fortson, electronic mail to Roger Bartlett, 5 Feb 2001, (stating that he died in 1972). [S312] Social Security Death Index, online at http://tinyurl.com/AncestrySSDI, viewed on 9 May 2004 (stating that she died in Nov 1980; not naming the place of death but stating that she lived in Royston, Ga. when she died and that last benefits were sent to an address in Royston, Ga.). [S27] John Wright Boyd, A Family History: Lt. Thomas Fortson (1742-1824) and Some of His Descendants—Early Settler of Elbert County, Georgia (Danielsville, Ga.: Heritage Papers, 1973), pp. 230-31 (naming Henry A. Fortson as his father). [S27] John Wright Boyd, A Family History: Lt. Thomas Fortson, etc., above, pp. 230-31 (naming Lura A. Brown as his mother). [S27] John Wright Boyd, A Family History: Lt. Thomas Fortson, etc., above, p. 231. [S930] Elbert County Cemeteries, Vol. 1 (n.p. : n.pub., 2002), p. 669 (stating that he is buried in St. Petersburg, Florida without naming the cemetery). [S27] John Wright Boyd, A Family History: Lt. Thomas Fortson, etc., above, p. 231 (naming Ernest Linwood Fortson as his father). [S27] John Wright Boyd, A Family History: Lt. Thomas Fortson, etc., above, p. 231 (naming Ernest Linwood Fortson as her father). [S27] John Wright Boyd, A Family History: Lt. Thomas Fortson, etc., above, pp. 231 (giving the date but not the place), 232. [S930] Elbert County Cemeteries, Vol. 1 (n.p. : n.pub., 2002), pp. 148 (not giving the date but stating that he was the husband of Mildred Gaines), 150 (not giving the date but stating that she was the wife of Charles H. Fortson). [S27] John Wright Boyd, A Family History: Lt. Thomas Fortson, etc., above, p. 232 (naming Charles Hardman Fortson as her father). [S27] John Wright Boyd, A Family History: Lt. Thomas Fortson (1742-1824) and Some of His Descendants—Early Settler of Elbert County, Georgia (Danielsville, Ga.: Heritage Papers, 1973), pp. 230-31, 233 (naming Henry A. Fortson as her father). [S27] John Wright Boyd, A Family History: Lt. Thomas Fortson, etc., above, pp. 230-31, 233 (naming Lura A. Brown as her mother). [S27] John Wright Boyd, A Family History: Lt. Thomas Fortson, etc., above, pp. 231 (giving the date but not the place), 233. [S27] John Wright Boyd, A Family History: Lt. Thomas Fortson, etc., above, p. 233. [S27] John Wright Boyd, A Family History: Lt. Thomas Fortson (1742-1824) and Some of His Descendants—Early Settler of Elbert County, Georgia (Danielsville, Ga.: Heritage Papers, 1973), pp. 230-31 (naming Henry A. Fortson as this child's father). [S27] John Wright Boyd, A Family History: Lt. Thomas Fortson, etc., above, pp. 230-31 (naming Lura A. Brown as this child's mother). Other Names*: Ila Fortson, Ila Tulula Fortson Eavenson, Ila Fortson Eavenson, Ila Tulula Eavenson, Ila Eavenson. [S27] John Wright Boyd, A Family History: Lt. Thomas Fortson (1742-1824) and Some of His Descendants—Early Settler of Elbert County, Georgia (Danielsville, Ga.: Heritage Papers, 1973), pp. 230-31, 235 (naming Henry A. Fortson as her father). [S27] John Wright Boyd, A Family History: Lt. Thomas Fortson, etc., above, pp. 230-31, 235 (naming Lura A. Brown as her mother). [S27] John Wright Boyd, A Family History: Lt. Thomas Fortson, etc., above, pp. 231 (giving the date but not the place), 235. [S961] Find A Grave, online at http://www.findagrave.com, memorial for Ila Fortson Eavenson, memorial no. 77307329, viewed on 12 Apr 2015 (giving the date but not the place). [S27] John Wright Boyd, A Family History: Lt. Thomas Fortson, etc., above, p. 235. [S961] Find A Grave, online, above, memorial for Ila Fortson Eavenson, memorial no. 77307329, viewed on 12 Apr 2015. [S961] Find A Grave, online, above, memorial for Roscoe Llewellyn Eavenson, memorial no. 77307330, viewed on 12 Apr 2015. [S312] Social Security Death Index, online at http://tinyurl.com/AncestrySSDI, viewed 12 Jul 2003 (giving the month and year; not naming the place of death but stating that she lived in Winder, Ga. when she died). [S312] Social Security Death Index, online at http://tinyurl.com/AncestrySSDI, viewed 12 Jul 2003. [S27] John Wright Boyd, A Family History: Lt. Thomas Fortson, etc., above, p. 235 (naming Ila Tulula Fortson as his mother). Other Names*: Fannie Fortson, Fannie Gertrude Fortson Hudson, Fannie Fortson Hudson, Fannie Gertrude Hudson, Fannie Hudson. [S27] John Wright Boyd, A Family History: Lt. Thomas Fortson (1742-1824) and Some of His Descendants—Early Settler of Elbert County, Georgia (Danielsville, Ga.: Heritage Papers, 1973), pp. 230-31 (naming Henry A. Fortson as her father). [S27] John Wright Boyd, A Family History: Lt. Thomas Fortson, etc., above, pp. 230-31 (naming Lura A. Brown as her mother). [S961] Find A Grave, online at http://www.findagrave.com, memorial for Fannie Fortson Hudson, memorial no. 44205376, viewed on 12 Apr 2015 (giving the year but no other information). [S27] John Wright Boyd, A Family History: Lt. Thomas Fortson, etc., above, p. 235 (giving his name as Stockton Cobb Hudson, Jr.). [S961] Find A Grave, online, above, memorial for Fannie Fortson Hudson, memorial no. 44205376, viewed on 12 Apr 2015. 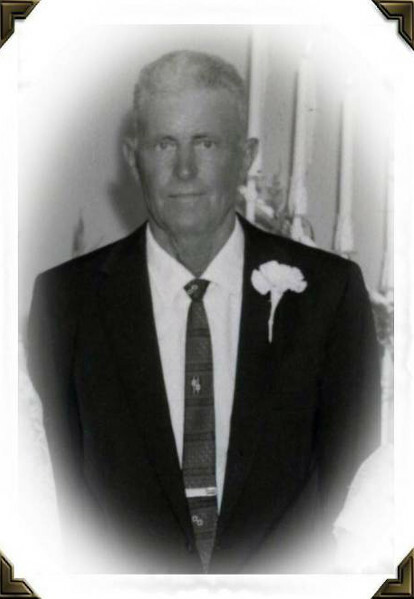 [S1158] Obituary of Lee Anderson Fortson, online http://ftp.rootsweb.com/pub/usgenweb/ga/elbert/obits/f/…, viewed on 15 Sep 2007 (citing The Elberton Star, Elberton, Ga., 13 Sep 1977) (naming Henry A. Fortson as his father). [S1159] Chandler Eavenson, notes accompanying 1977 obituary of Lee Anderson Fortson, online http://ftp.rootsweb.com/pub/usgenweb/ga/elbert/obits/f/…, viewed on 15 Sep 2007, (naming Henry A. Fortson as his father). [S961] Find A Grave, online at http://www.findagrave.com, memorial for Lee Anderson Fortson, memorial no. 94822830, viewed on 12 Apr 2015 (naming Henry A. Fortson as his father). [S1158] Obituary of Lee Anderson Fortson, online, above, (naming Lura Brown as his mother). [S1159] Chandler Eavenson, notes accompanying 1977 obituary of Lee Anderson Fortson, above, (naming Lura A. Brown as his mother). [S961] Find A Grave, online, above, memorial for Lee Anderson Fortson, memorial no. 94822830, viewed on 12 Apr 2015 (naming Lura Brown as his mother). [S27] John Wright Boyd, A Family History: Lt. Thomas Fortson, etc., above, pp. 231 (giving only the date), 235 (giving the date and place). [S1158] Obituary of Lee Anderson Fortson, online, above, (not giving the date but stating that he was born in Elbert County, Ga. and was eighty-six years old when he died on 12 Sep 1977). [S1159] Chandler Eavenson, notes accompanying 1977 obituary of Lee Anderson Fortson, above, (giving the date but not the place). [S961] Find A Grave, online, above, memorial for Lee Anderson Fortson, memorial no. 94822830, viewed on 12 Apr 2015 (giving the year and place). [S1159] Chandler Eavenson, notes accompanying 1977 obituary of Lee Anderson Fortson, above. [S961] Find A Grave, online, above, memorial for Lee Anderson Fortson, memorial no. 94822830, viewed on 12 Apr 2015. [S961] Find A Grave, online, above, memorial for Callye Campbell Fortson, memorial no. 94822795, viewed on 12 Apr 2015. [S1158] Obituary of Lee Anderson Fortson, online, above. [S961] Find A Grave, online, above, memorial for Lee Anderson Fortson, memorial no. 94822830, viewed on 12 Apr 2015 (not giving the date). [S27] John Wright Boyd, A Family History: Lt. Thomas Fortson (1742-1824) and Some of His Descendants—Early Settler of Elbert County, Georgia (Danielsville, Ga.: Heritage Papers, 1973), pp. 230-31, 235 (naming Henry A. Fortson as his father). [S27] John Wright Boyd, A Family History: Lt. Thomas Fortson, etc., above, pp. 230-31, 235 (naming Lura A. Brown as his mother). [S27] John Wright Boyd, A Family History: Lt. Thomas Fortson (1742-1824) and Some of His Descendants—Early Settler of Elbert County, Georgia (Danielsville, Ga.: Heritage Papers, 1973), p. 231 (naming the place but not giving the date). [S929] Early Cemeteries and Gravestones Elbert County, Georgia (Elberton, Ga.: Elbert County Hist. Soc'y, 1874), p. 14 (giving only the year). [S930] Elbert County Cemeteries, Vol. 1 (n.p. : n.pub., 2002), p. 669 (giving only the year). [S27] John Wright Boyd, A Family History: Lt. Thomas Fortson, etc., above, p. 231 (naming Delree Herndon as his mother). [S27] John Wright Boyd, A Family History: Lt. Thomas Fortson, etc., above, p. 231 (naming Delree Herndon as her mother). [S27] John Wright Boyd, A Family History: Lt. Thomas Fortson (1742-1824) and Some of His Descendants—Early Settler of Elbert County, Georgia (Danielsville, Ga.: Heritage Papers, 1973), p. 231 (naming Ernest Linwood Fortson as his father). [S312] Social Security Death Index, online at http://tinyurl.com/AncestrySSDI, viewed 7 Jul 2003 (not naming the place of death but stating that he lived in St. Petersburg, Fla. when he died). [S27] John Wright Boyd, A Family History: Lt. Thomas Fortson (1742-1824) and Some of His Descendants—Early Settler of Elbert County, Georgia (Danielsville, Ga.: Heritage Papers, 1973), p. 231 (naming Ernest Linwood Fortson as her father). [S312] Social Security Death Index, online at http://tinyurl.com/AncestrySSDI, viewed 7 Jul 2003 (not naming the place of death but stating that she lived in St. Petersburg, Fla. when she died). [S312] Social Security Death Index, online at http://tinyurl.com/AncestrySSDI, viewed 7 Jul 2003 (not naming the place of death but stating that she lived in Fairfield, Calif. when she died). [S27] John Wright Boyd, A Family History: Lt. Thomas Fortson (1742-1824) and Some of His Descendants—Early Settler of Elbert County, Georgia (Danielsville, Ga.: Heritage Papers, 1973), p. 232 (naming Francis Gaines as her father). [S27] John Wright Boyd, A Family History: Lt. Thomas Fortson, etc., above, p. 232 (naming Louise Mildred Gaines as her mother).